I really like pickled things. 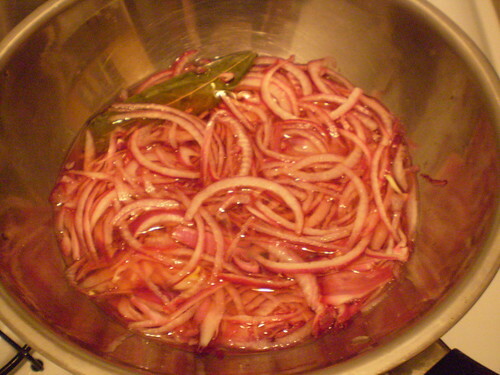 There are some vegetables I like even better pickled than raw, such as red onions. 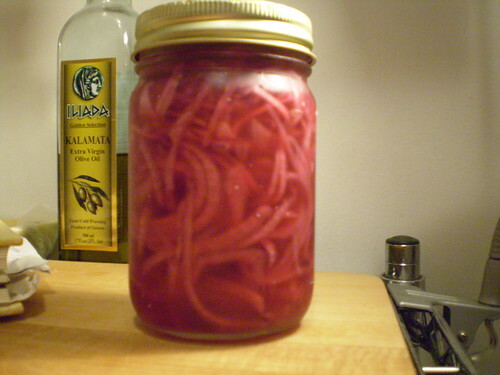 Lucky for me making pickled red onions is a snap. They will keep in the fridge for a few weeks (or more) to help add something extra to a sandwich, a salad, or whatever needs jazzing up. I have not ventured into the world of canning, yet, but these types of pickles do not need preserving that way. 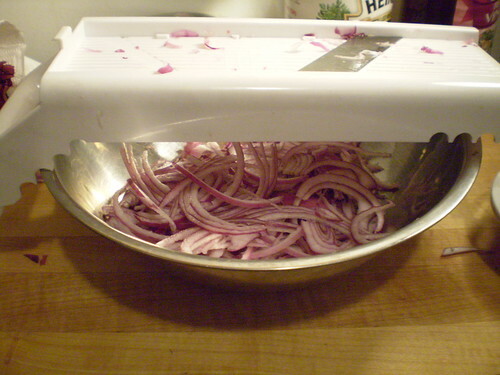 You can pretty much quick pickle almost anything, but red onions are the ones I think everyone should try. Yes, I know it's been done before. And, yes I know this isn't going to be an amazing culinary creation that will make you a bit hungrier as you read this. But, I can tell you that having this jar at your disposal, really does brighten up an otherwise dull dish. It's a condiment in the spirit of Fight Back Fridays as it is definitely better for you than any store bought, corn syrup loaded, preservative-laden, condiment you can purchase. These red onions are tangy, and sweet. They have the satisfying pickle crunch that people love. They're acidic, and depending on your pickling spice of choice, possibly spicy. And, they're EASY!! Before I made these quick pickles I never would have guessed, how easy. Take a red onion, or two, or three. Get out your sharpest knife, or a mandoline if you have one. Slice the onions as thin as you can get them. Next, you have to prepare the pickling liquid. There are probably a million variations of spice and flavoring for this kind of thing. One constant is the acid. Either apple cider vinegar, or red wine vinegar, or even rice wine vinegar if you were doing an Asian-inspired pickle. This time I was going with a recipe I found in my awesome Greek cookbook, The Olive and the Caper, by Susanna Hoffman, so I used the red wine vinegar. 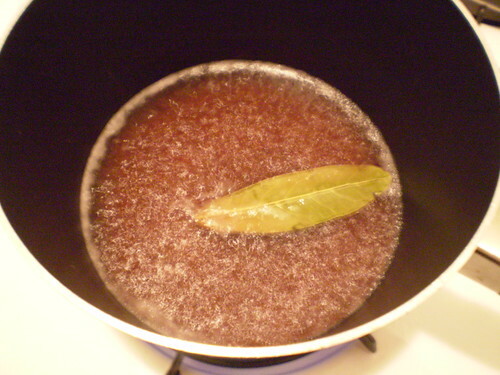 Put one part vinegar to one part water into a pan with a couple of tablespoons of sugar. I used raw cane sugar, but I have tried brown sugar in the past, which was very sweet and delicious too. I threw in a bay leaf for flavor. You can throw in some peppercorns, or other whole spices of your choice. Bring the vinegar-water-spice mixture to a boil. Once the sugar has dissolved, it's ready. Pour over the onions to let them marinate before refrigerating. After about 45 minutes, you can use them right away. The flavor will get better over time though. So, pour the rest into a jar with a lid, and store in your fridge to use over, and over again.